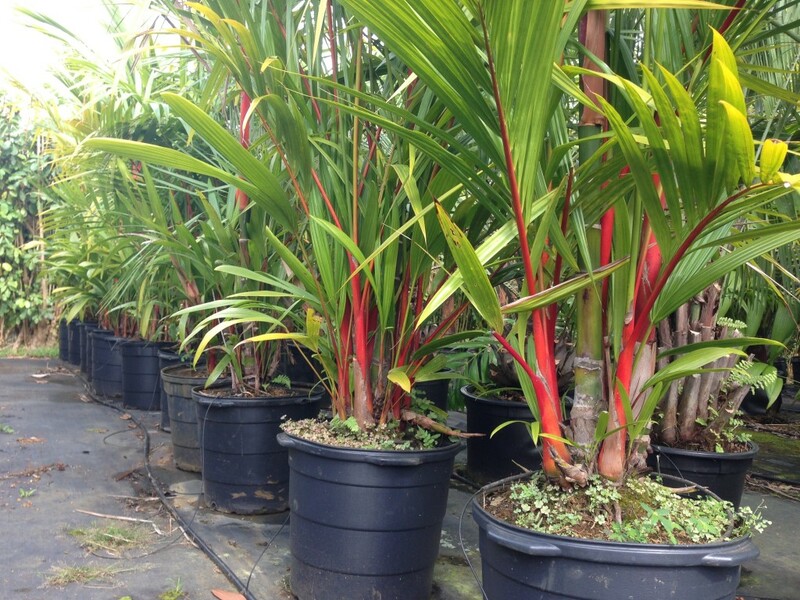 Red Sealing Wax Palms are our most popular palm tree variety. The name comes from the bright red color of the palm fronds which resemble the color of the wax used to seal letters. Also referred to as the Lipstick Palm, the Red Sealing Wax Palm, is considered to be rare and exotic because of the time it takes for a seed to germinate and palm availability. Tricky to grow, the sealing wax palm needs high humidity, well-drained soil, and is not tolerant of drought or wind. It is definitely a collectors palm and is one of the most beautiful and sought-after palms in the world.